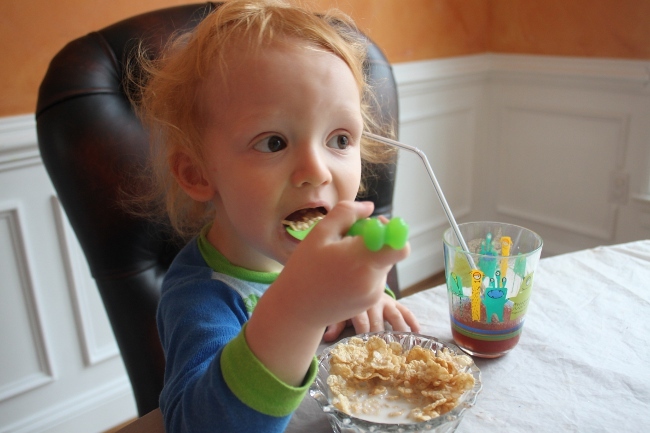 Reader Question: Can a Fortified or Enriched Food Be as Healthy as One Made with Natural Ingredients? 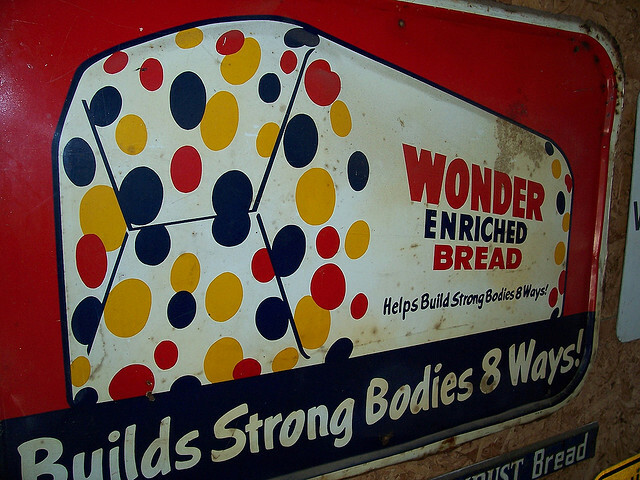 “Wonder Enriched Bread,” Photo by spablab. From the Flickr Creative Commons. 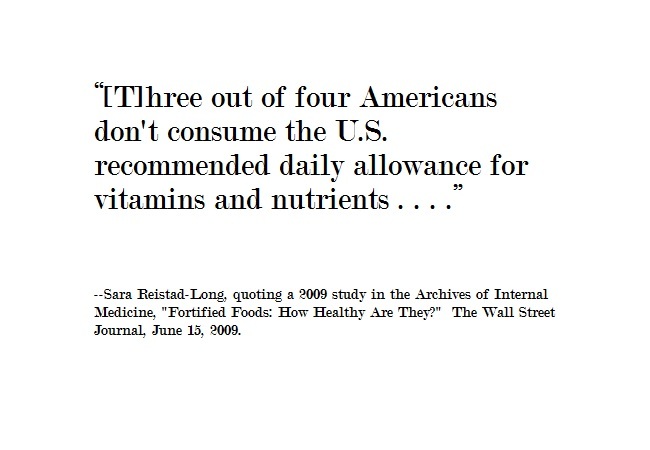 Reader Ben (also my wonderful brother-in-law) posted several comments this month on my nutrition series inquiring about how to evaluate the health benefits of foods that are fortified with various vitamins and minerals compared to natural, whole foods. For example, the Bisquick pancakes made with white flour compared to the homemade whole wheat flour pancakes. It is a good question and one I needed to research myself. 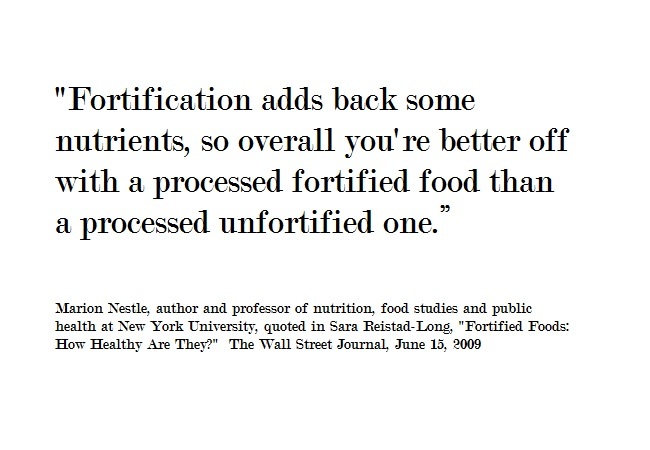 Why do we fortify foods in the first place? 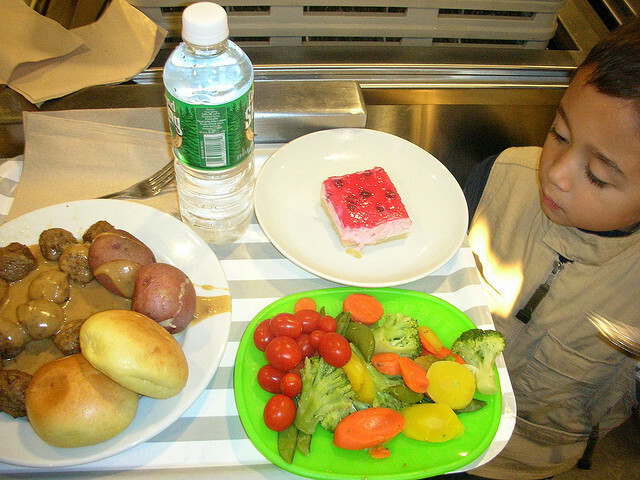 Fortifying foods began as a way to reduce public health problems. For example, iodine, a mineral naturally present in seafood, good soils and the meat of animals who consume plants grown in iodine-rich soils, was added to salt in 1924 to prevent goiters. 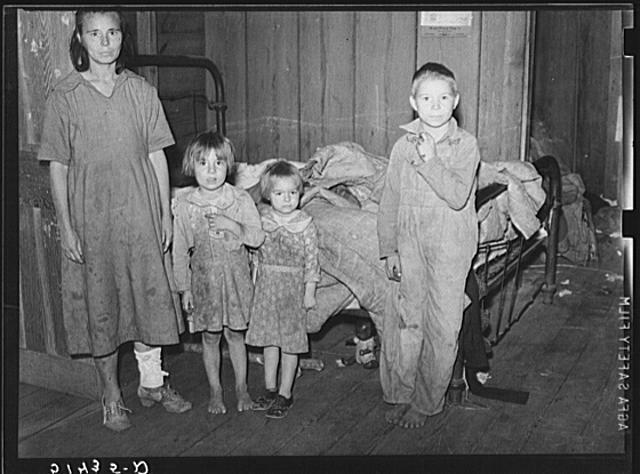 “Coal miner’s wife (note goiter) and two children. Chaplin, West Virginia” (1938) Photo by Marion Post Wolcott for the U.S. Farm Security Administration. From the Library of Congress Prints and Photographs Division. We now know that iodine may be vital particularly for pregnant women as it has been shown to impact fetal brain development. Although we hardly hear about goiters in the United States any more, it appears that iodine consumption is still a problem we need to monitor especially among poor populations. Some countries now mandate that iodine be added to all salt sold. “Part of RR (Rural Rehabilitation) family, now dropped, children have hookworm, mother pellagra and milk leg, according to nurse’s report. Father works on WPA (Work Projects Administration). 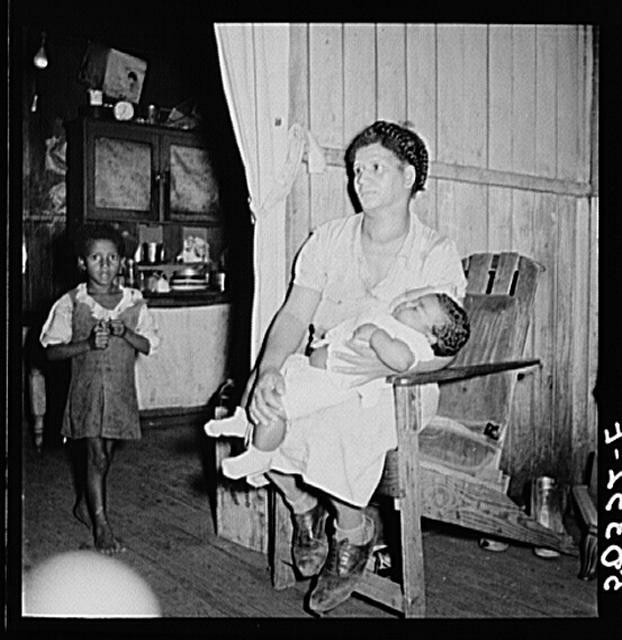 Coffee County, Alabama” (1939). Photo by Marion Post Wolcott for the U.S. Farm Security Administration. From the Library of Congress Prints and Photographs Division. In 1943, many flours were fortified with niacin, thiamin, riboflavin and iron to prevent pellagra, a brain and skin-degenerating condition. Since 1998, folic acid has been added to enriched grains to prevent neural tube defects in children. Most of these enriched products appear aimed at the very poor who most likely do not take vitamin supplements or eat a healthy diet. The debate about processed foods is confusing on many levels. Most of us have heard the message from various sources that we shouldn’t eat any processed foods and that we are better off eating “whole foods.” But what seems to get lost in translation is what a “processed” food is. In today’s technology-rich world, I think it appeals to a lot of people to have one area of their life devoted to simplicity and relatively free of technology. For many people this area is food. It is easy to understand that a homegrown vegetable is better for you than a box of Mac ‘N Cheese. (and it most certainly is!) However, I think some people start to take this too far. The case of flour is one example. You could grow your own wheat and grind your own flour (a processed food), for example. Your flour might be organic and pure and natural and all the other wonderful adjectives we can think of. But would your flour be better than an enriched flour that has been enhanced with various vitamins, such as folic acid and niacin mentioned above? Even though the enriched flour is produced by a large factory and probably grown in less desirable conditions, the answer might be that this “processed” flour is technically better for you. Similarly a yogurt with added fish oil might be healthier than one without. *Note, I say might be, because there are factors like pesticide use and processing methods that could affect the final outcome. What does “processed” really mean? I also don’t think people appreciate that “processed” could also mean “cooking.” In my pancakes example, a whole foods purist would probably say that the healthiest pancake choice is neither pancake—that it would be better to just eat the eggs and milk (i.e. whole foods) in the pancakes alone and forget about making a cake out of them. We tend to deceive ourselves that just because there is whole wheat in a pancake it is less cake-like. There are some situations where cooking enhances the nutrient absorption of foods (like cooking tomatoes in oil) but most of the cooking we do probably “processes” our foods into less healthy versions of what we started with. A whole foods purist would likely subsist on a diet that was almost exclusively vegetables, lean proteins and eggs with a splash of beans, nuts, whole grains and fruit. 99% of people don’t eat this way. But if you want a clear, simple, easy-to-understand guideline about what is healthy to eat, this is it. Each person will have their own nutrition checklist based on nutritional needs and lifestyle choices. It is fascinating to learn what different people choose to eat and not eat. 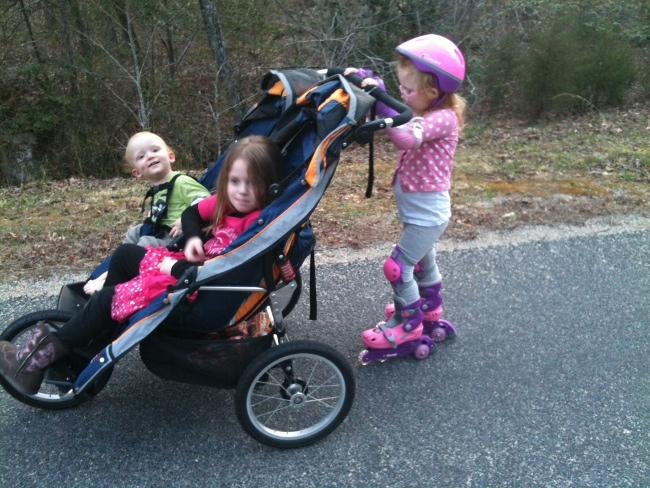 In some ways, we are all part of a grand experiment to find out what works. How do you feel about the processed versus whole food debate? What is on your nutrition checklist? Please share in the comments.